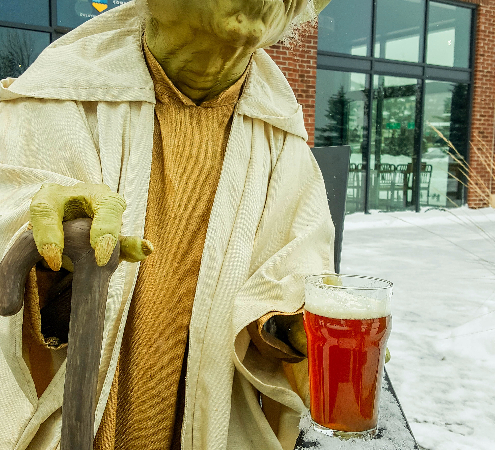 We could do a long boring explanation, but basically our brewers are Star Wars nerds and are often talking of Jedi Knights and the Millennium Falcon. It is our tribute to a galaxy far, far away. This E.S.B. starts with a moderate hop aroma and mingles with malt and some soft fruity esters. It’s a medium bodied beer with a solid caramel presence, evidenced by it’s copper hue and a moderate hop bitterness. And we did it in under twelve parsecs.